Did I say go outside? Amazingly, I've accomplished most of these goals within the past few weeks, despite working inside 40 hours/week. We visited family at the beach over Memorial Day weekend (which explains my missed blog post - oops) and we got to enjoy the beginnings of true summer fun. We got our toes sandy and picked shells on the beach. I biked a few miles to the beach with my cousin on a beautiful woodsy trail. We ate watermelon by the pool and soaked up the sun with family. I didn't want it to end! 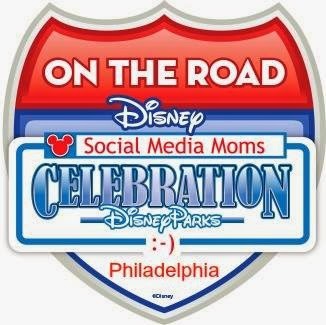 Since summer means more travel, trips to the pool/beach and fun with family, it also means that I need more portable food allergy friendly snack ideas. You know, something you can throw in your bag and not worry about it. I recently discovered the blessing of Gerbs Gourmet Seeds. 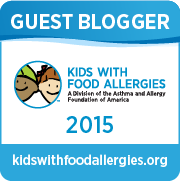 Gerbs is a company all about Allergen Friendly Natural Foods. 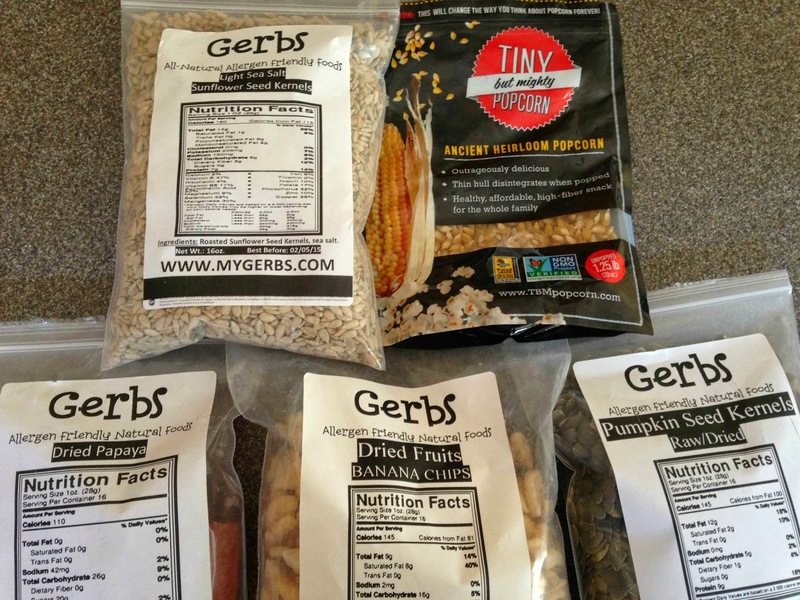 Gerbs' certainly fulfills a need for bulk nut-free snack foods and seeds. I can't buy from the bins at Whole Foods or other stores due to cross-contact risks. So, I've been ordering all my goodies from Gerbs instead. I threw together this BEAUTIFUL and DELICIOUS nut free snack mix with all my new goodies from Gerbs. I think I could even call it HEALTHY too if I make sure not to eat too much of it. I used all of these ingredients to make my nut free snack mix. Well, there's really NO recipe. It's just a matter of including all your favorite healthy snacks together in one bowl. Mix and EAT! I hope you enjoy this tasty, portable and easy summer treat. 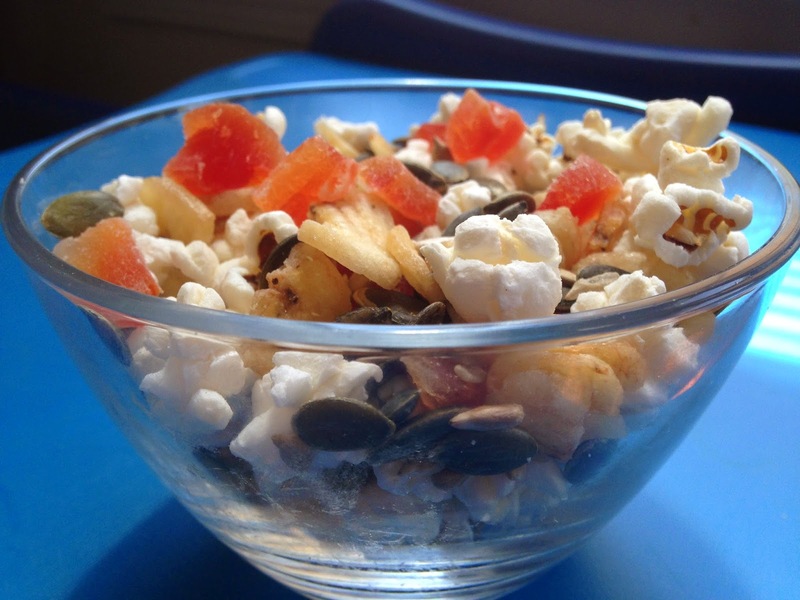 The best part about snack mix is that you can use any of your favorite ingredients to make a healthy treat. I'm posting this on the Real Food Recipe Round-up. Enjoy the sunshine for those of you who have it! 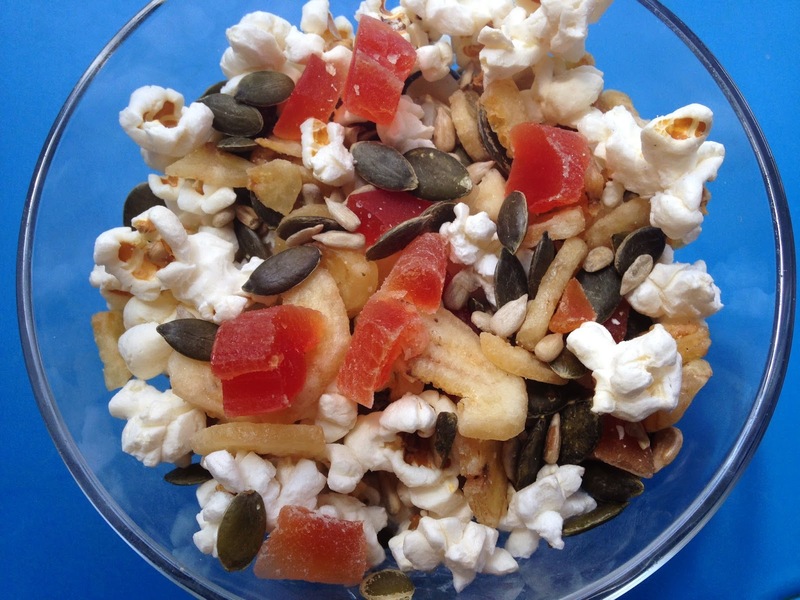 Here are the ingredients I used for this nut free snack mix! Gerbs did not sponsor this post. I actually buy and use Gerbs on my own! This post does include Amazon affiliate links at no cost to you.